Pat Buchanan: Is Putin The Provocateur In The Kerch Crisis? On departure for the G-20 gathering in Buenos Aires, President Donald Trump canceled his planned weekend meeting with Vladimir Putin, citing as his reason the Russian military’s seizure and holding of three Ukrainian ships and 24 sailors. But was Putin really the provocateur in Sunday’s naval clash outside Kerch Strait, the Black Sea gateway to the Sea of Azov? In 2014, after the pro-Russian regime in Kiev was ousted in a coup, and a pro-NATO regime installed with U.S. backing, Putin detached and annexed Crimea, for centuries the homeport of Russia’s Black Sea fleet. Russia’s refusal to release the sailors was given by President Trump as the reason for canceling his Putin meeting. Predictably, our interventionists decried Russian “aggression” and demanded we back up our Ukrainian “ally” and send military aid. Why was Poroshenko’s ordering of gunboats into the Sea of Azov, while ignoring rules Russia set down for passage, provocative? Because, with his poll numbers sinking badly, Poroshenko realizes that unless he does something dramatic, his party stands little chance in next March’s elections. Adrian Karatnycky of the Atlantic Council urges us to build up U.S. naval forces in the Black Sea, send anti-aircraft and anti-ship missiles to Ukraine, ratchet up sanctions on Russia, threaten to expel her from the SWIFT system of international bank transactions, and pressure Europe to cancel the Russians’ Nord Stream 2 and South Stream oil pipelines into Europe. Why are we letting ourselves be dragged into everyone’s quarrels — from who owns the islets in the South China Sea, to who owns the Senkaku and Southern Kurils; and from whether Transnistria had a right to secede from Moldova, to whether South Ossetia and Abkhazia had the right to break free of Georgia, when Georgia broke free of Russia? Typical limited US view. Omits EU exploiting US installed puppet regime to get the EU association agreement signed in order to relegate Ukraine to the status of EU dependent non-member state as part of the European Neighborhood Policy. This association agreement aims to destroy all existing relations and trade with Russia. Limited view indeed! Sometimes it seems to me as if the US “Deep State” had gone blind. Remove Russia annexed Crimea, when just like the US on 4 July 1776, the people used self determination, to go home to Russia, I liked the article. Crimea is Ukraine, illegal fascist occupation or not. The US supports occupation by foreign entities if it suits their goals. Sorry for going off topic, but how do you become a member of Duran Hants? As soon as I got to ‘Russia annexed Crimea” I quit reading. More Yank propaganda, self directed mindset. It you want to accuse someone of “annexation” Mr. B [verb “to annex”, to invade and forcibly take over a sovereign nation attaching it to the control of the invader nation against the wishes of the populace], please look to who it was who invaded North Mexico and took it over, annexed it “America” and claimed ownership. No Yank, anywhere, has any right to accuse anyone of “annexation” until they hand the Southern states involved back to Mexico. Absolutely spot on!. The problems is – the “exceptional nation” believes it can do whatever it likes regardless of any law whether domestic or international and accuse anyone of anything so long as it suits the US geopolitical agenda!. Deep state is not interested in the sheeples sentiments regarding the Kersh strait, South Ossetia etc. The deep state wants all non one world order Russians (which is most of them) wiped off the face of the earth. They could care less how that is accomplished. 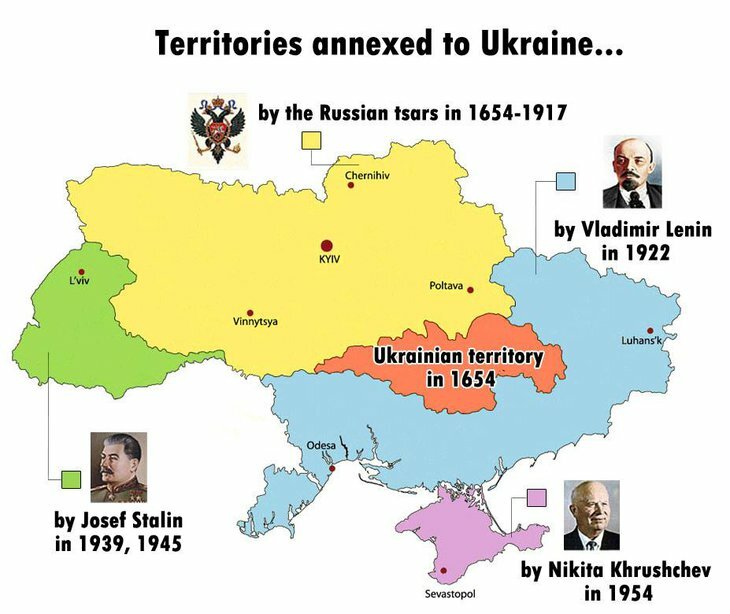 When was Crimea annexed by Russia? The people of Crimea through their right to self-determination (noted in UN documents) 1. voted to leave Ukraine. 2. voted to join Russia. Exactly – of course USA/NATO didn’t get the prize they really desired which was the sea port of Sevastopol which would have given USA/NATO a permanent military base right in Russia’s back yard. When something suits the US/NATO geopolitical agenda it’s perfectly legal!. If there’s one thing I have learnt during my life time it’s that USA/NATO make up the rules as the go along to serve their on geopolitical agenda’s!. The US and it’s concentration on parts of the World they no longer control should focus their attention on amalgamating North and South America in a way that is beneficial to all the participants. They ignore this at their peril as the Chinese for one are already moving in to the vacuum. Thinking Canadians don’t want anything to do with them. Not as the 51 – 53rd states and not as a separate country of west coast identities called Cascadia either.